The citizens of Clarington are back and the drama continues and we're picking up where we last left off! We kick off this episode with the poem NESTA SCRUNGE - written by Richard Bell, narrated by Josh Chitty. 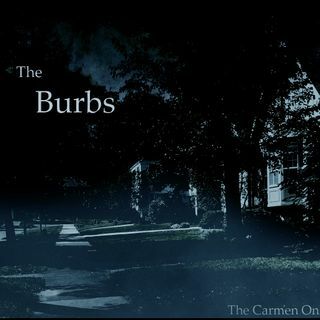 The Burbs is written, produced and directed by Liane Moonraven. Stars Dahjn Maria Gomez, Siara Tyr, Brad Smith and Dave Davis. Narrated ... See More by Anthony Webster. And good job, too, dealing with that "witch"
What happens at West Lake, kids??? Night Liane...thanks for bringing us/this back!!! It's been a very long time since I've worked alongside such a consistently talented group of people. YOU guys are all awesome. hahaha you have no evidence of that. I was careful. Well, I appreciate the compliments :smile: from everyone. But I just read words with my face hole...Liane is the one that smacks me upside the head to make sure it sounds okay. cashin' in everyone. :smile: going to finish out Dan's birthday. :smile: big hugs! !